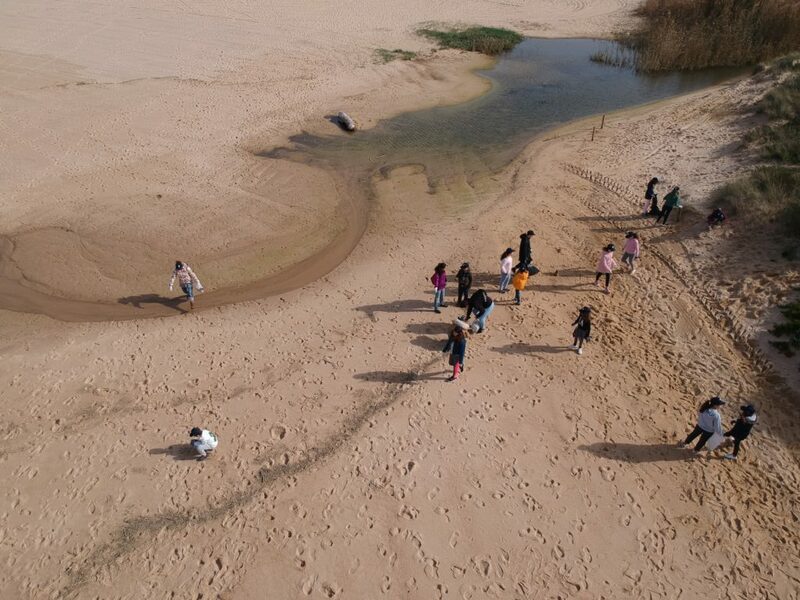 Twenty-seven students from Castelo Middle School (6th grade) from Sesimbra (Portugal), have conducted a marine litter monitoring action on Moinho de Baixo Beach (Meco, Portugal), picking up 934 items of marine litter, weighting 34.4 kg, on a 700 meters extension. 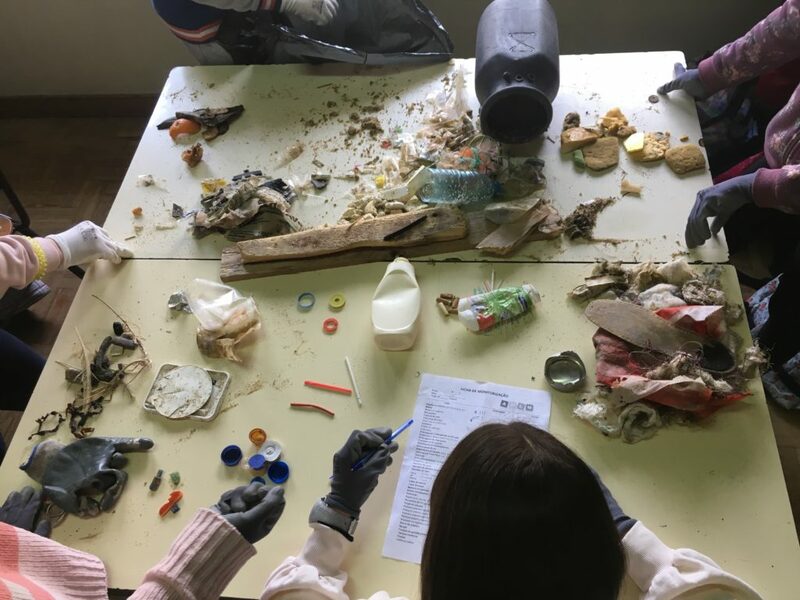 Swabs, plastic bags and food packaging fragments and styrofoam pieces where the most commonly found objects (TOP 3). 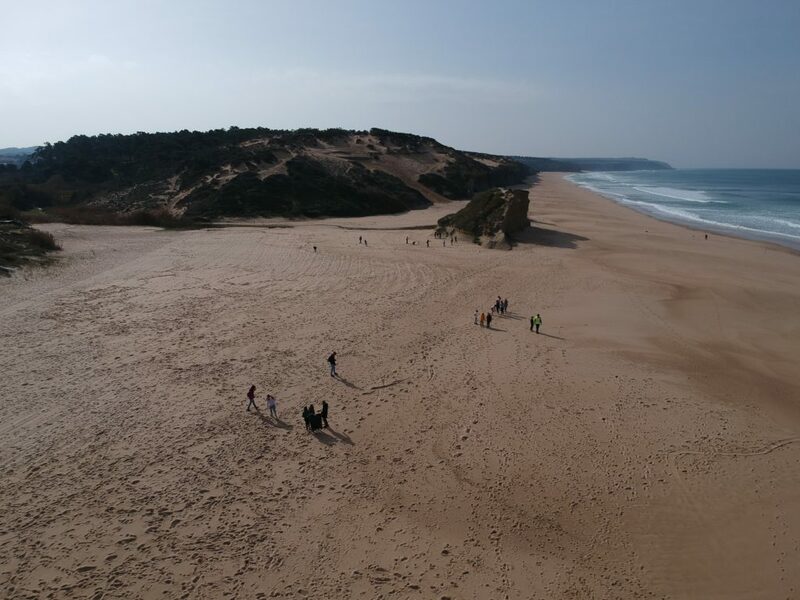 This initiative integrates the awareness component ‘Active Ocean Literacy’ from the CleanAtlantic Project, promoted by the Portuguese Directorate-General of Natural Resources, Security and Marine Services (DGRM) and executed by the NOVA School of Science and Technology (FCT NOVA) and MARE – Marine and Environmental Sciences Centre. 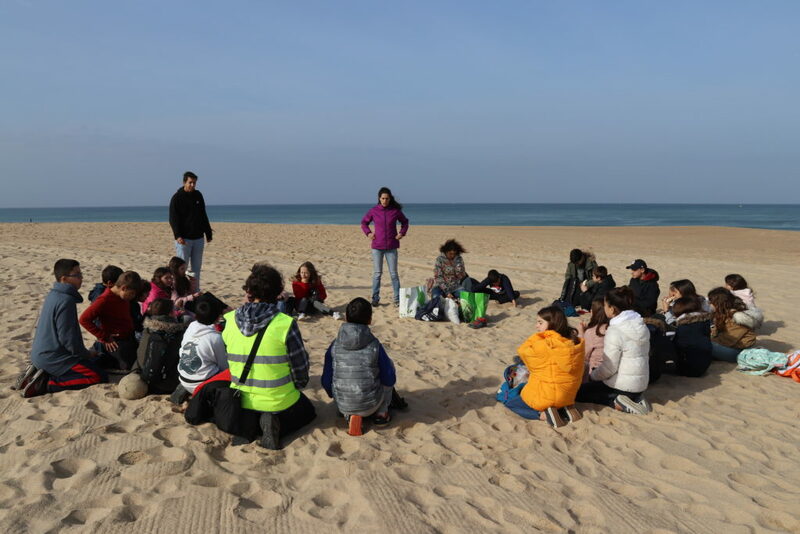 The ‘Active Ocean Literacy’ component will be carried on simultaneously in five Portuguese cities with fishing ports where the ‘A Pesca por um Mar sem Lixo’ Project (Docapesca and APLM) is already implemented, starting on the beginning of 2019/2020 school year (September 2019). 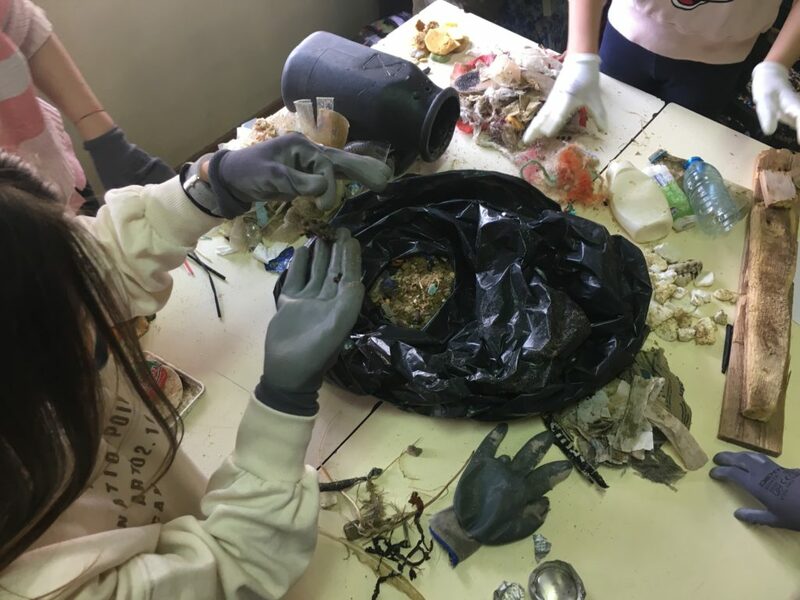 As a pilot city, the Municipality of Sesimbra and its fishing port are already under this project, between January and June of 2019.